Most newcomers to online gaming are having concerns about finding a trustworthy online casino to play. 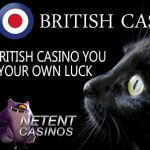 NetEnt only sells its high quality products to online casinos of which they are sure they can be trusted. They have to, because once an online casino is offering their products, they are called NetEnt Casinos. And the last thing you want as a listed software supplier, is dodgy casinos showing off with your cutting-edge games so carefully designed for trustworthy online casinos only. But you can find yourself the best NetEnt Casino imaginable, it will be worthless if it’s not offering the deposit method that fits you. 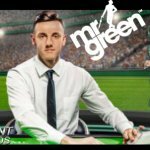 Although I have to say, that chance is almost impossible as there’s always a method that helps you to safely deposit money into your NetEnt Casino account. 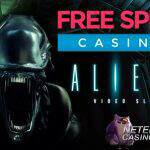 There may be multiple safe options to deposit money into your NetEnt casino account. No matter if you are having a bank account or not, I will help you to find the most convenient deposit option for you. To help you out, I’ve made a list with all sort of deposit options you can choose from such as credit cards, debit cards, e-wallets, prepaid cards, Intermediary Payment Services, Intermediary Banking Services and more. My extensive Casino Deposit Guide should help you finding your way in a maze of deposit options available these days. No matter where you are in the world, credit cards are available everywhere. Some use VISA, while others use MasterCard or Diners Club. Credit card deposits are convenient, fast and secure, and many players already own a credit card and know how to use it. Almost all gambling platforms accept credit card as a deposit option. Making a deposit using your credit card is as easy as buying anything with your credit card. You head to the NetEnt Casino’s cashier selecting the credit card deposit option you want to use, enter the amount you want to deposit and your credit card information and all there’s left is a conformation from your side and a verification from the casino’s side. 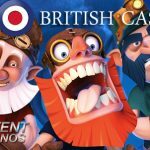 This won’t take long and soon the casino account you’ve funded will reflect the money you’ve just added to it and you can start to play all your favourite NetEnt games with real money. I could have mentioned this type of card together with the credit card, but there’s a big difference between the two. Unlike a credit card, a debit card can only be used when your bank account balance is sufficient. For the rest a debit card works exactly the same as a credit card. These are just what they sound like and also known as digital wallets, online wallets and electronic wallets. No matter how you call such a wallet, they all offer you a sort of online account that holds your money, often coming from your regular bank account, so you can use it at any time you want in a webshop or to deposit money in to your casino account. E-wallets come in many types, some with a virtual credit card, some with a plastic credit card, but the all have one thing in common as they won’t reveal any sensitive information to the merchant such as credit card numbers or bank account numbers. Using an e-wallet to deposit money into your account is very easy. You just select your e-wallet, the amount you want to deposit and only a log in to your e-wallet and a conformation is al there’s left to top up your NetEnt Casino account balance. This payment system looks a lot like an e-wallet, but there’s a big difference between the both as money can be kept in an e-wallet, while an Intermediary Payment Service serves offers an go-between service, making sure no sensitive information is revealed to the merchant. These Intermediary Payment Services are also easy to use, but cannot be used as an online bank account or e-wallet. Making a deposit into your NetEnt Casino account using an Intermediary Payment Service works the same as when using an e-wallet. Some of the NetEnt Casinos are offering local deposit options, mostly available in just one country. If using a local Intermediary Banking Service you’ll make use of the internet banking system of the bank you have your personal account. This means the money will be debited directly from your account instead of your e-wallet. Before e-wallets and Intermediary Payment Services weren’t invented yet, we didn’t know better than using bank transfers. We used Bank Transfer to send money from one bank account to another only, as nobody heard of internet yet, neither of webshops, online merchants or casinos. Until today you can still use Bank Transfer to deposit money into your account, but it’s the slowest option available as it still takes a few days before the money is actually in your account. The safest way to deposit money into your online casino account is by using a prepaid card. For a while it looked like the prepaid card got banned, as it was old fashioned. Why would you use a paper prepaid card if you can use an online payment service? But the prepaid card is on his way back, as the internet doesn’t always give the protect we are looking for. Yes internet payments are easy and very fast, but 100% safety can never ever be guaranteed, not by any online merchant as internet is internet and technology is technology. So you see, a prepaid card isn’t that stupid as it seems, as they are 100% safe and zero personal information will be revealed when making a deposit. You buy a prepaid card in one of the many outlets they are sold at, using cash money and you receive an unique code initially covered by an opaque layer. Once you’ve selected the prepaid card as your deposit option, all you have to do is fill in the unique code on the card. Some e-wallets accept prepaid cards to transfer money into your electronic wallet. This means no bank account is needed when having an e-wallet, which can be convenient when a NetEnt Casino does accept e-wallets, but no prepaid cards. You see, one way or another, there’s always a convenient way for you to deposit money into your online casino account.